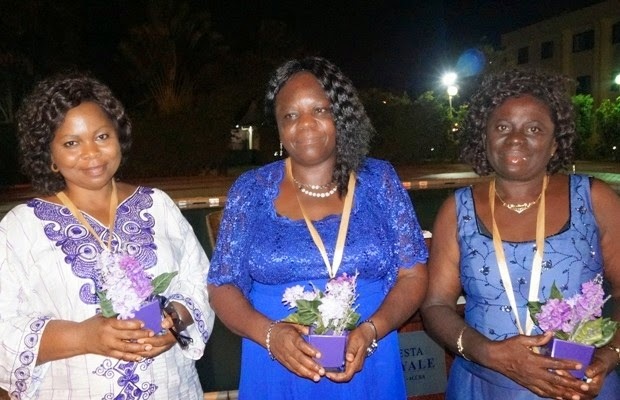 In Commemoration of the International Women’s Day celebrations, Fiesta Royale Hotel, one of the top hospitality hotels in Ghana, last Sunday held a dinner party to celebrate and award some women who have played very important roles in society. According to Kingsley Addison, General Manager of the hotel, the event which was also celebrated globally on March 8 under the theme: ‘Empowering Women, Empowering Humanity’, was part of their corporate social responsibility to support and motivate women in the society. “Knowing the very important role women play in our society and around the world, we decided to support them and motivate them to do more. This is also an opportunity for us to sell our products to them by treating them to some delights of the hotel,” Mr Addison told DAILY GUIDE. Veronica Sackey, headmistress of Dzorwulu Special School, who has been teaching children with intellectual disability for close to 36 years, Veronica Laryea, a teacher at Mary Mother of Good Council School at Dzorwulu and who has been teaching for the past 28 years, and Rosemond Ohenewaa, head teacher for Primary A&B and Kindergarten School at Dzorwulu, were all presented with medals of honour for their enormous contribution to society. However, Riss Assani- Alabi, Programme Officer of the African Women’s Development Fund, urged women to celebrate their achievements and capitalise on their gains. “This is an occasion for us to celebrate our achievements as women. Let us stop reinventing the wheel about women have not done this, women have not done that. The little we have done, let us celebrate ourselves, capitalise on our gains and see how best we can move forward and it can only happen when we put our forces together. That is why the African Women’s Development Fund (AWDF) has been set up to support the work of African women,” she stated. International Women’s Day highlights the Beijing Declaration and Platform for Action, a historic roadmap signed by 189 governments 20 years ago that sets the agenda for realising women’s rights.